I am fortunate to be one of the co-founders of a new road safety group in South Australia, and yet democracy slapped me across the face yesterday. My wish to have the group named the Peoples Road Safety Consulting Group was voted down 12 to 3, and the group is now named the Energetic Driving School. I accept the new name and the reasons put forward by the well intentioned lefty hipster Green faction that dominated proceedings at the meeting. My argument was that a more conservative name would be better placed to pierce through the systems of government shaping Road Safety. The object of the group was not in dispute, namely, to address some real concerns of road safety that everyone in attendance stood by. It was resolved that driver behavior and poor road safety signage were at cause of accidents and were ignored or not seen by the government. I summarized positive dialogue that I had presented to the Police Minister the Hon Peter Malinauskas and which was also being examined by the the Hon Peter Mulligan, Minister for Transport and Infrastructure – we had a place at the table I suggested and now just needed to further establish our lobby group and find funding. Jasmine presented survey results conducted over the preceding month using a clunky overhead projector and received a round of applause and the offer from a group member of a laptop computer and some training. Overall, Jasmine reported, 68% of respondents believed road safety signs were confusing and not in accordance with road safety. Jasmine went on to present details of very bad road signage and road line markings before the projector globe blew! Jasmine will complete her presentation at the next meeting hopefully using the kindly donated laptop and a modern projector! 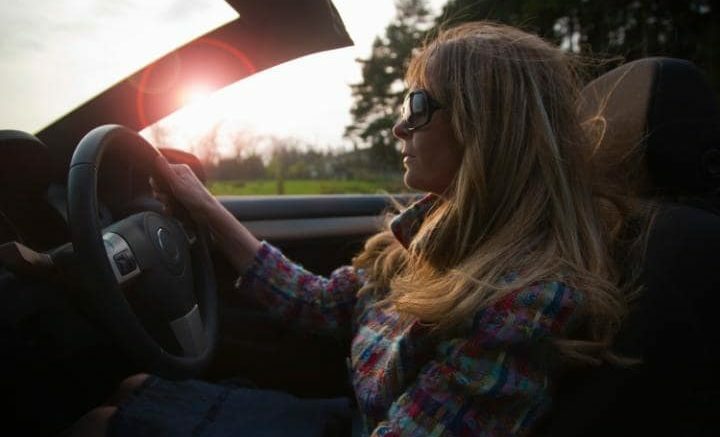 People felt calmer and more confident after the course and realized that they were often driving when experiencing emotional stress which was impacting their driving. When people are able to be given feedback on the small things they are doing which add to driving risk, they very quickly learn and adopt new driving strategies. A remarkable 75% of drivers were not keeping a safe distance from the cars ahead and 55% of male drivers cussed other road users during the course. 82% of the fifteen drivers tested since April had passed the first level of the training and the sixteen percent of the balance had agreed to supplementary training. I contributed the feedback received last week from Minister Malinauskas that driver behaviour studies from other states were being examined by the state government and that I was continuing to lobby the merits of the driver course and for it to receive some funding as a unique initiative. I also raised the issue of the merit of a 90km speed limit at night in kangaroo populated rural areas which would help save roos, lives and property. I did not receive a round of applause and I later offered to resign my post as chair of the group in favor of Goodier and it was agreed that Goodier was more ‘in touch’ with the sentiments of the group and so I thanked the group for the honest feedback and was nominated as government relations spokesperson, and will continue in this role for the time being. 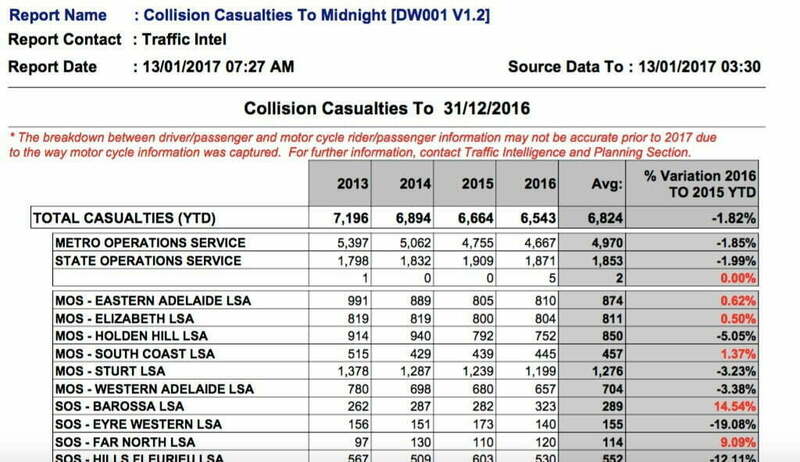 General consensus was that the term ‘casualties’ must be referring to ‘injuries’ and therefore there may need to be more concise definitions of the words ‘casualties’ and ‘serious injuries’ , and from here the economics of Road Safety risk could be examined more accurately. From the government statistics presented it was agreed that male drivers were substantially of more concern in relation to road safety and this corresponds with Goodiers experience with the driving school trials. Malcolm commented on the state governments use of billboard and radio advertising which he found ‘abhorrent’ and also threatening and distracting, particularly the tone and use of the words ‘you will be caught’ in relation to the blood testing for cannabis. Thanks Malcolm, the group agreed in principle that the carrot is more useful than the stick and Malcolm presented research showing cannabis was not the threat to road safety that was made out by these adds and had promised to email the link to the research which he has not done as yet. In rounding off the meeting I asked the group ‘whats next’ to drive the program ahead ( pun intended but no laughs ) and it was agreed that we need to have the driving course recognized and have a training manual and video produced given that trials have proved successful over the past twelve months. Disclosure: Nigel Carney received a Certificate of Achievement for the Jones Harley Toole Community Road Safety Award 2016 and is nominated again for the award in 2017. People interested in highlighting Mr Carney’s community efforts in this field are encouraged to email a recommendation to Demi@awardsaustralia.com in the next few weeks or sooner. Article image from: How do emotions affect your driving? Your mood can shift in a matter of seconds due to emotional stimulation that, on the surface, you may not see as affecting you at all. However, it’s important to recognize situations that may have the potential to alter your mood—and therefore your driving. These situations can result in both negative and positive distracting emotions. Getting into an argument with your significant other. Another driver on the road cuts you off. Running late to an important appointment. If you find yourself in one of the situations above, or notice yourself becoming stressed, angry, or sad, take a moment to acknowledge how you’re feeling. Know that how you’re feeling is okay and perfectly normal. Then, take a few more moments to recollect before getting behind the wheel of your car. Take a look at our section below, Handling Emotional Distractions, for steps to take before driving once you’ve experienced a situation that’s left you with negative emotions. Receiving a raise at work. Heading to or from a celebration. Listening/singing along to a song you really like.